These tasty little sandwiches make the perfect appetizer, lunch, or light dinner. 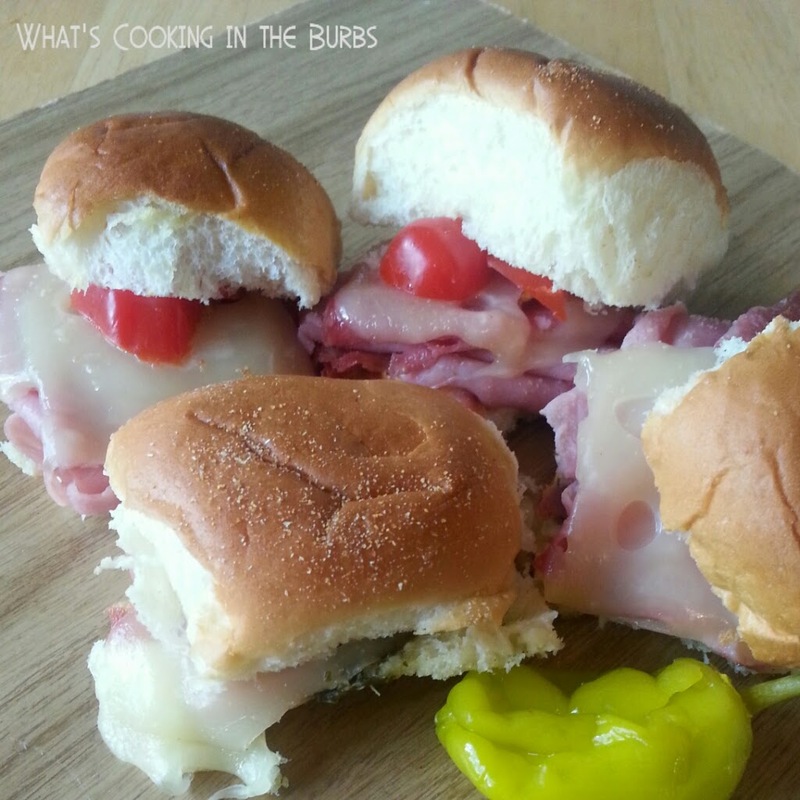 I was in the mood for something simple and these sandwiches were just the thing! Easy to prepare and delicious! Combine melted butter and garlic powder in a small bowl. Set aside. Assemble sandwiches by spreading 1 tbsp pesto on each roll and topping with one slice ham, salami, cheese, tomato, and 3 slices pepperoni. Place each sandwich in a baking dish and pour garlic butter evenly over sandwiches. Bake for about 10 minutes or until cheese is melted and sandwiches are warm. Enjoy! yum, my favorite kind of sandwich made mini! looks like such an easy but delicious little sandwich. Found at foodie friday. Thanks for sharing. Have a wonderful weekend. Those sandwiches are the perfect size for someone with my appetite and they look delicious. Visiting from Foodie Friday! I am all about any mini sandwich! Looks great! Yummers! These look awesome, Bridget. Thank you bunches for linking up and partying with us! Pinning this.